Sign up for our classroom training taught by industry experts and you won't get behind or miss a single lecture. You determine when and where training is completed. We recruited leading Microsoft trainers to assist us design the premier certification and training course which was developed to prepare you for your career. This course was designed for users with minimal experience with Windows 7. Users will be taught advanced conepts related to Windows 7. Additionally, they will learn how to protect and manage files, install devices, manage user accounts, configure networks, and conduct system restore operations. 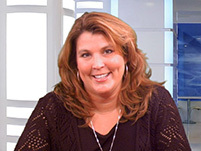 Sandra has more than 15 years experience developing IT training programs. She is also a Senior Microsoft Certified Instructor. Sandra has consulted with Fortune 500 companies about IT training. She also has years of real-world experience installing networking infrastructure, configuring Internet security gateways, WAN, and LAN, and transitioning to Microsoft Exchange 5, 2000, 2003, 2007, and 2010. Sandra has taught numerous classes about Adobe, CompTIA, and Microsoft products, and she has made presentations on online Boot Camps.